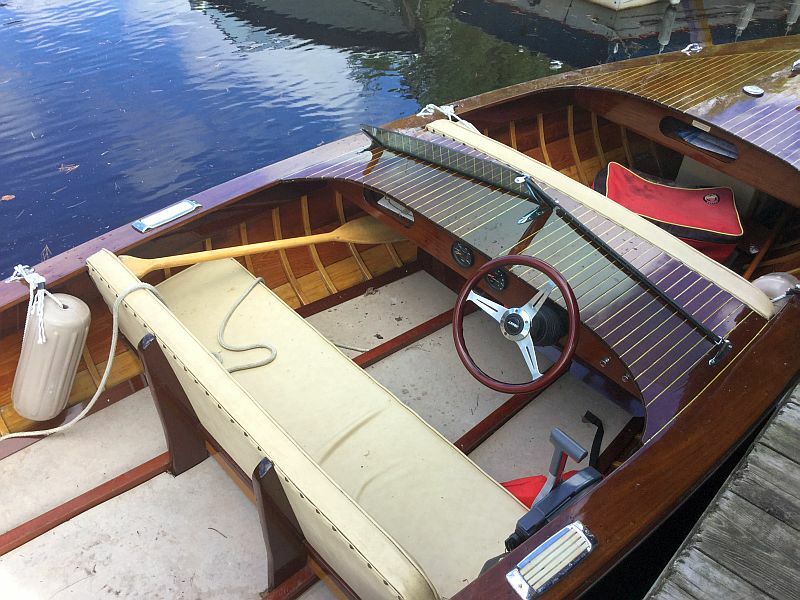 This Billy Johnson designed runabout was built by master craftsman Stan Hunter in 2007. This sixteen foot beauty is hand crafted with a cedar hull, white oak frames and a mahogany deck. 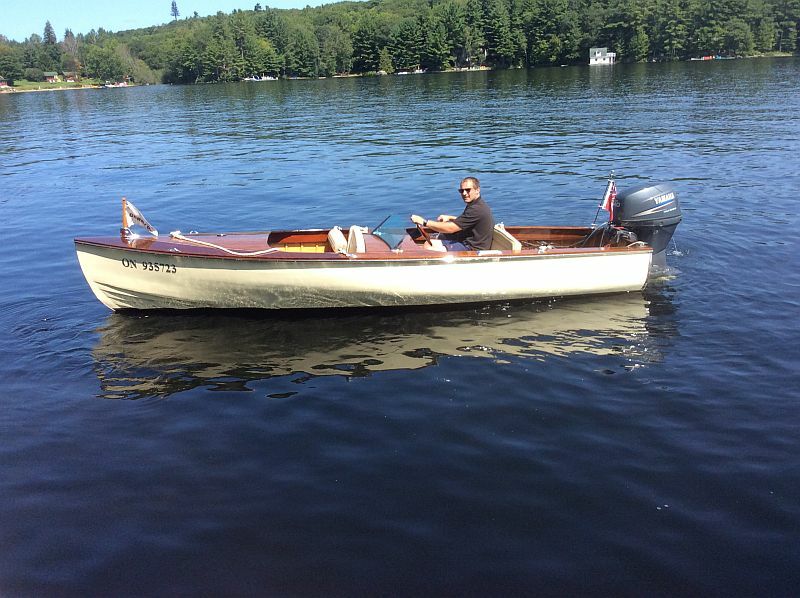 The “Gerry D”, one of five boats of this model built by Stan over a decade, is powered by a quiet, 40 hp (2007) four stroke engine with low hours. The installed twelve gallon gas tank provides many hours of carefree boating. 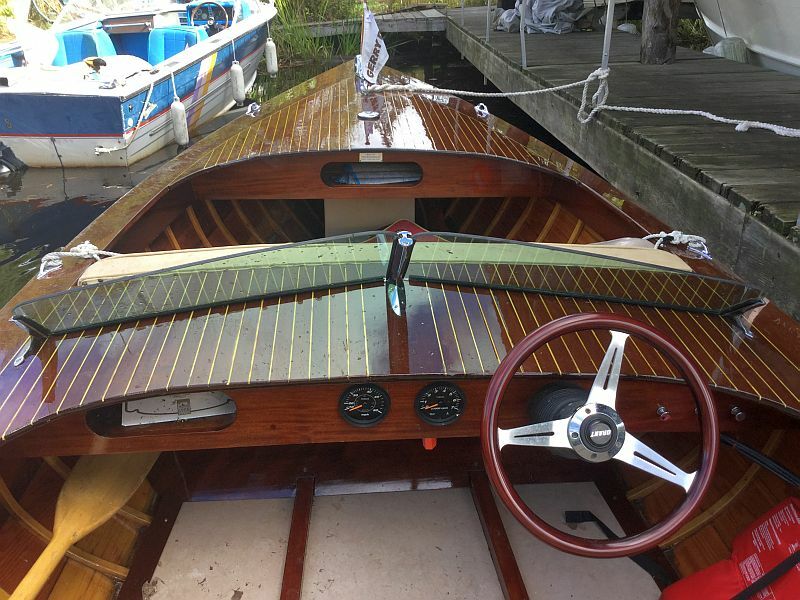 The runabout has recently been refurbished with new paint and varnish, along with minor woodwork repairs. Always stored under cover, both boat and motor are in excellent condition. 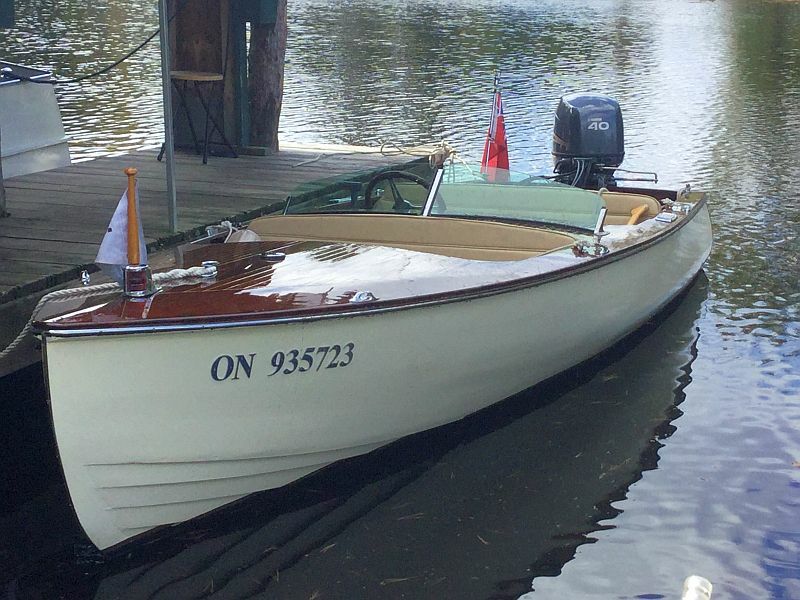 The original price of this boat was $24,000, without the engine. A trailer at additional cost may be available with the runabout.